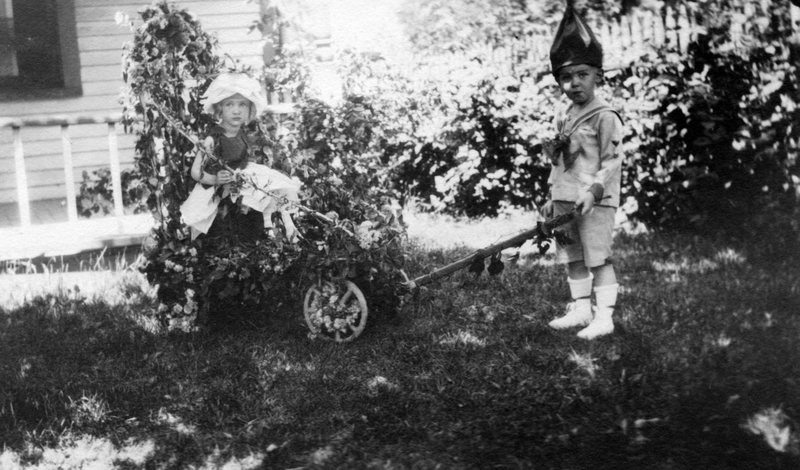 Preparing for July 4th Parade, 1923; Peggy (Woodward ) Coppinger and neighbor boy. Description Parade wagon, two children. Transcription Preparing for July 4th Parade, 1923; Peggy (Woodward ) Coppinger and neighbor boy.